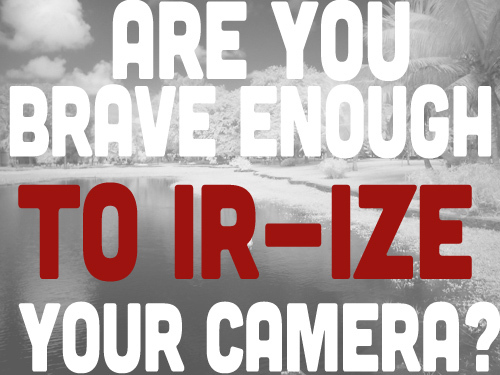 Are You Brave Enough To IR-ize Your Camera? 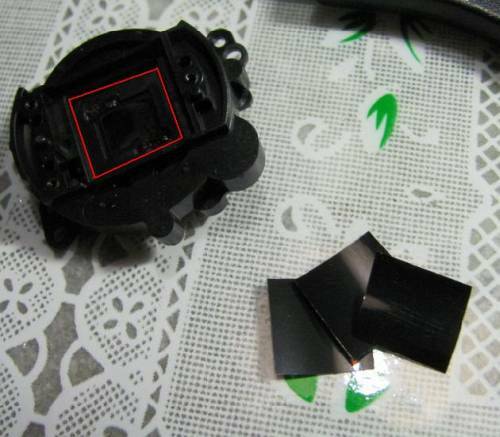 While it is pretty common to use Infra Red (IR) filters for IR photography, there is yet another, braver and non-reversible way to do it – remove the IR filter that’s placed in front of the CCD. 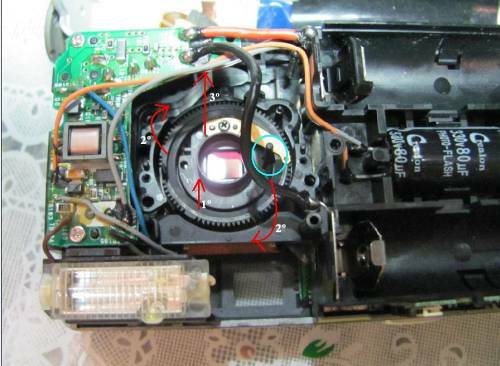 The reason for removing the internal IR filter rather than using an IR lens filter, is that you get way (WAAAY) more infra red light to hit the sensor. 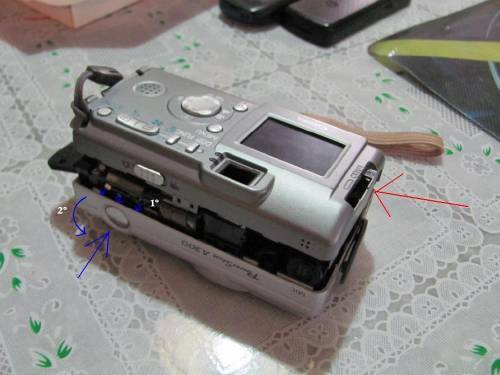 On the down side, you will be doing a non-reversible, non-refundable, warranty-voiding surgery on your camera. So: A – you must really love infrared photography and B – you do this at your own risk. If you kill your $28 camera don’t come crying, you knew this was an option. 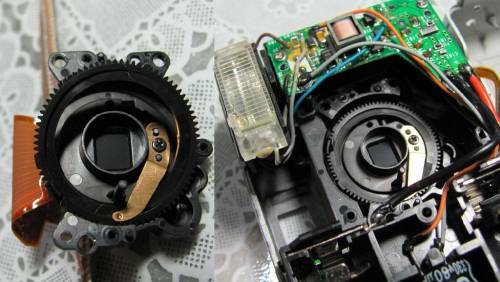 Anyhow, photographer Mario Pereira takes us through the path of doing an open heart surgery on a Canon PS A300. It is an uber cheap camera (no zoom, 3.2 MP, dated 1089 BC) so it’s a good place to start experimenting with this kind of stuff. 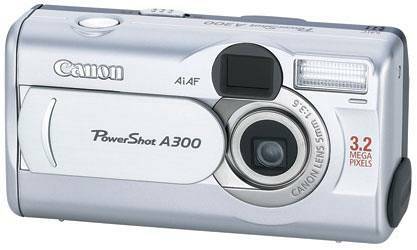 This is the camera that we will be converting – the Canon PS A300. Before to start, it is a good idea to get a pair of cheap latex gloves and a simple surgery mask; the former to protect you from getting shocked and the circuits from getting wet. The latter is so you don’t worrying about saliva and air moisture. One side of this camera have only two screw. Remove them. 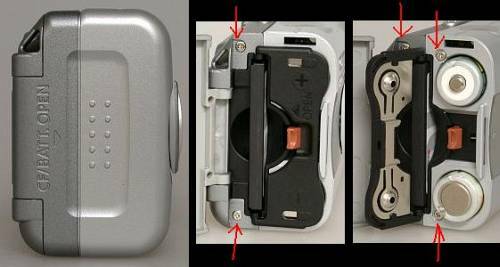 The other side, where the batteries are (2xAA), there are 4 screws inside the battery lid, remove them too. On the bottom, there are two screws, remove them too. The back. Don’t do anything with it for now. The front side. 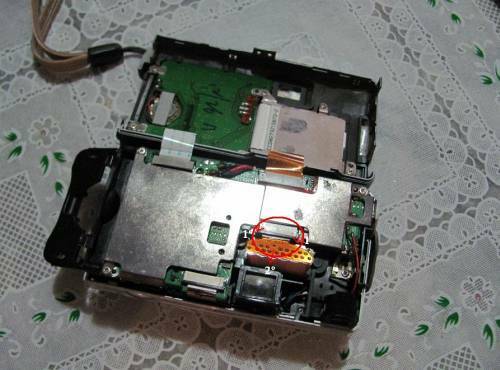 Remove the battery lid so you have better access. It’s easy to put it back on later. 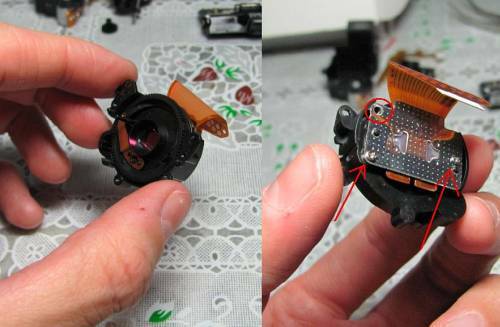 Remove three screws that hold the lens on the front. 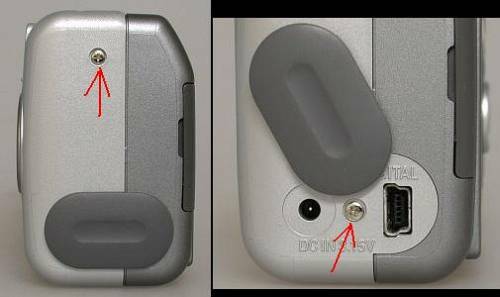 Be careful with the screws, they can fall inside the camera and it’s difficult to recover them. Remember to be careful with the capacitor… You may get a nasty shock (Cyan circle). So just leave it be. Remove the flat cables to proceed. 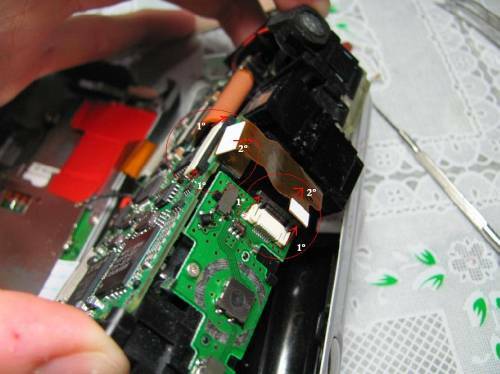 1) Use a screwdriver to open the black part of the socket. Gently force them back, following the red arrow. Do this with the other socket, so you can remove the lens in the next step. This is a easy step, but it has to be explained. The cyan arrow indicates where the big cover fits. The red circle shows a metal bat that put the lens in place. The lens is held in place by a spring, where the cyan circle is. To remove the lens set, you simply release the spring, then pull up the entire set, following the red arrow. Be happy! You can see the target! 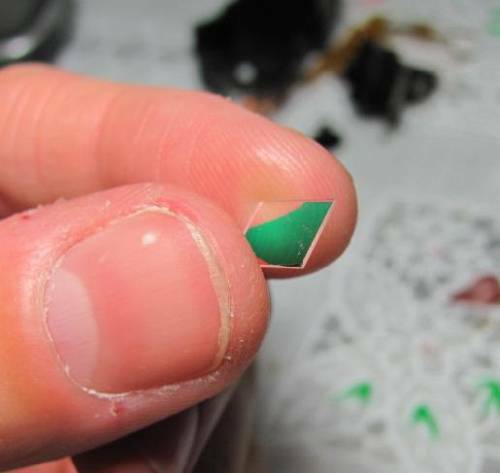 The magenta (or green) glass is the famous “hot mirror” – a mirror for infrared only, visible light pass through it without (almost) any loss and infra red light is tossed away. The cyan “circle” is the spring that I’ve talked about in the previous step. 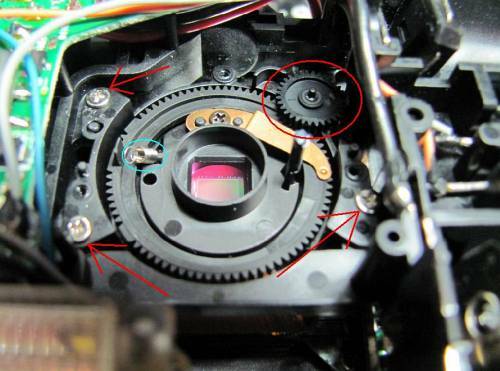 The red circle shows a gear that controls the focus. Remove both the spring and the gear, be careful to not lost them, they are very small. 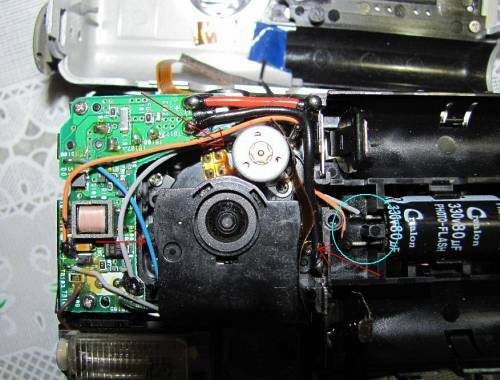 Well… Continuing, remove the three peripheral screws (red arrows). Remember the back side, go back to it and release the flat cable . Remember, first you use a screwdriver to push the black part of socket until the cable comes loose, then you pull the cable and lastly disconnect the socket. 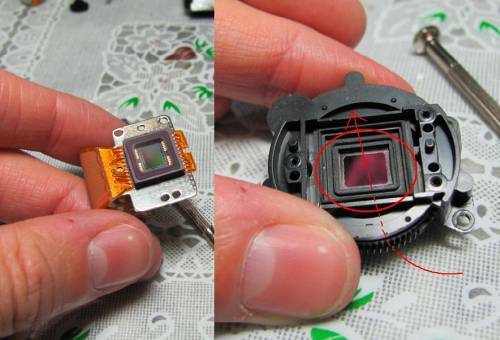 In this step you can see the body of sensor with the focus gear and the “hot mirror”. 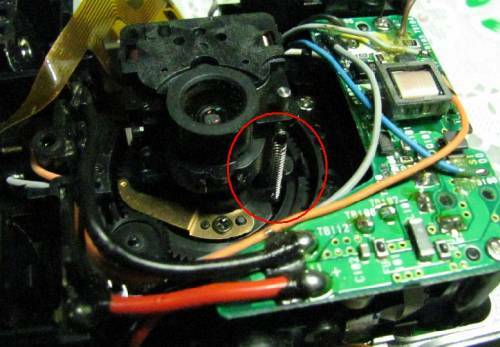 On the back side, remove the two screws (red arrow) to release the CCD. I don’t know why my camera don’t have a third screw (red circle)… But, when I assembled back, I put the two screws exactly in same position. Be careful with the CCD. One scratch and game over. On the right side you can see the target, the “hot mirror” itself. With a piece of cotton swab push the hot mirror until it snaps out (in direction of the red arrow). And now it’s the filter alone. If you want to keep it, don’t touch the surface and only hold/handle it through its sides. Keep it in a plastic bag (to avoid dust). 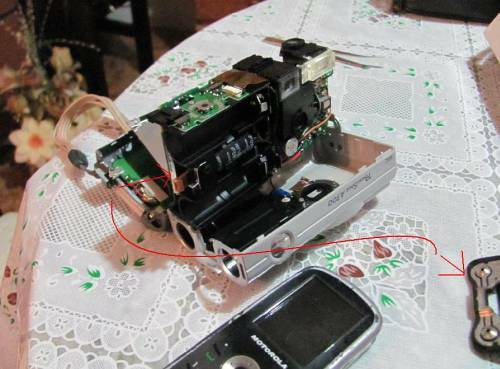 Use a screwdriver to remove the rubber mold of the CCD, it’s glued a bit, don’t worry, just remove it. Cut two or three strips of film bigger than the “hot mirror”. Cut them so they fit in the red square, i.e., the same size of the rubber mold. This facilitate to fix the filter in place, without glue. To proceed, put the strips in position and fit the CCD in the rubber mold. 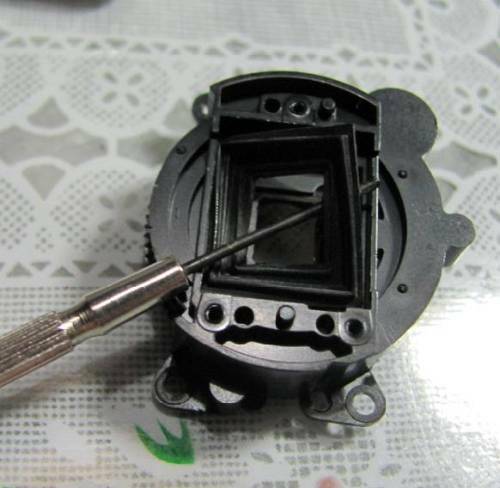 After that, put the CCD inside the mold where the red square is, leaving it ready to receive the screws. This is a moment of choice. I used three strips of (super exposed and developed) Fujifilm (Superia X-Tra 400) negative, but apparently, the use of positive film (Chrome, Fujifilm Fujichrome for example) undeveloped, but exposed, makes a better filter with better contrast. If you use one or two strips of negative, you’ll get a better image, with more contrast, but you will also let more receive more visible light in. 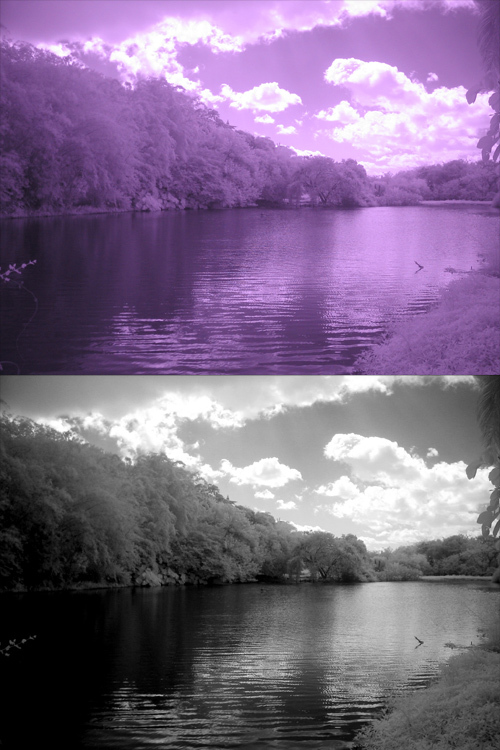 I chose three layers because I wanted no visible light, only infrared. The trade off is that the images don’t have a lot of contrast. Whatever your choices are, remember, the film cutouts must be clean, without finger marks, dust or anything else. Assemble the two screws in place (the same two as before) and continue to assemble back. 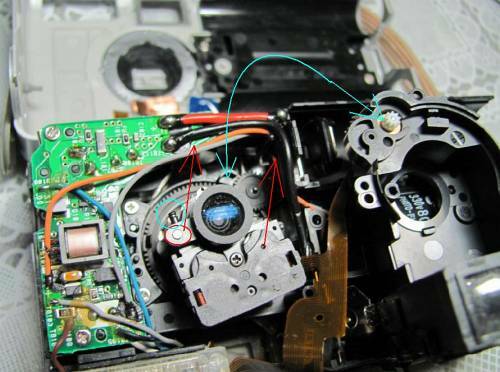 The red circle shows the spring in the right position. Well, generally go back in the reverse order and cross your fingers that the camera work. If you were pretty methodical and worked clean lady luck is in your favor. 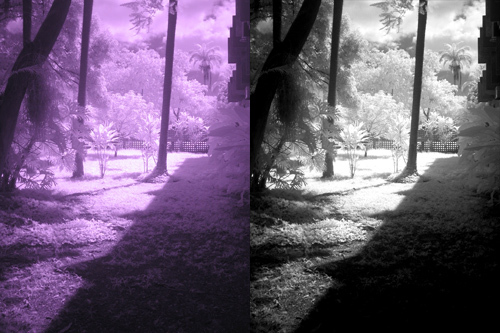 The camera, after the conversion, identifies the infrared as magenta. That is not really a problem as infrared isn’t a color we can understand anyways. We can cheat and understand it as some kind of black and white. 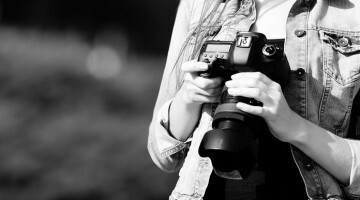 So, pop the photograph into your favorite editing program and convert it to B&W. P.S. If you don’t know how to convert to Black and White, there is a great hack for B&W conversion here. Mario Pereira is a Brazilian amateur photographer and physics undergraduate. He has a deep passion for understanding the science behind the camera. You can follow his work on Flickr.